Northfleet History Group - May 2012 Meeting. Growing up on the Home Front 1939 to 1945. Another large audience of members and visitors gathered in St Botolph’s church hall on Tuesday 1st May to hear Mike Brown talk about what daily life was like for children growing up on the Home Front between 1939 and 1945. It was certainly an eye opener for those who did not remember the war years and for many of the older members present it recalled many memories of the hardships endured by families during those anxious times. He demonstrated how gas masks were used and spoke of the dangers of incendiary bombs and of nights spent in cold, damp air raid shelters during those dark days of the war. He explained how mums managed to cook various meals when practically everything was strictly rationed, using dried milk and powdered eggs and how they sometimes even used cod liver oil for frying. Children generally did not feel so badly affected as the adults, largely being sheltered from the full horrors of the war by their parents, and not having known any different times, enjoyed as near normal a childhood as possible, although their toys took on a decidedly more warlike flavour, including such things as toy tin helmets and military-style uniforms to dress up in. His talk was so absorbing he agreed to continue after the tea interval when he told of the bravery of many ordinary people, especially children not even in their teens, who ignored the ever present danger to give very valuable service by courageously running messages on bicycles between the various civil defence organisations during the perils of the blackout and whilst air raids were in progress. 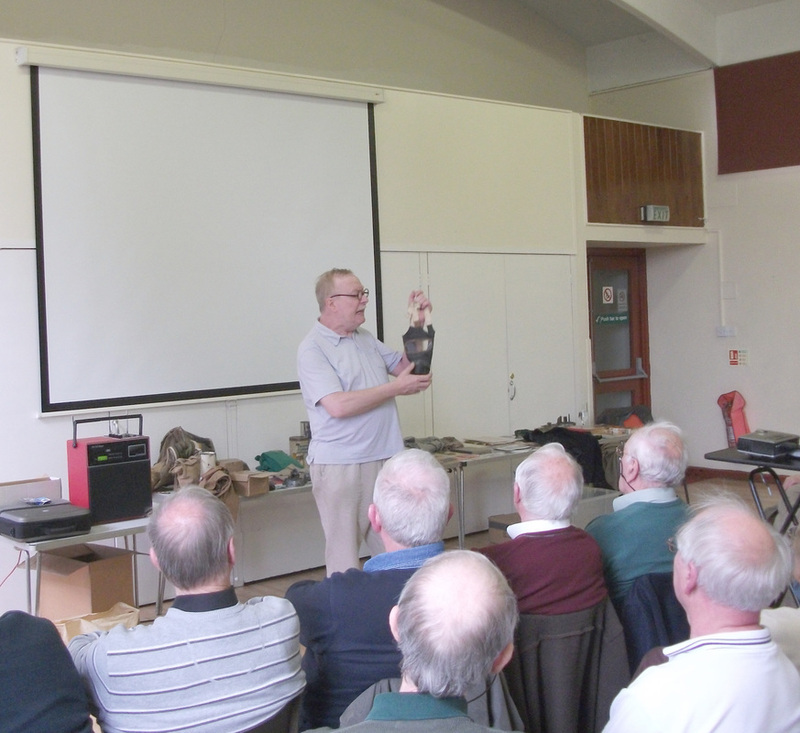 After the talk many members had a nostalgic time examining and commenting on the various artefacts from the war years which Mike had brought with him, concluding a very interesting and informative afternoon.